This is one of my favourite colours. I just love these rusty orange cremes. 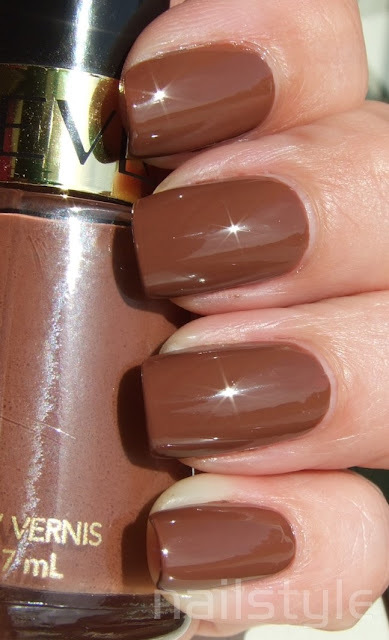 Revlon Totally Toffee is a polish I had years ago and recently bought a new one to see if I still like it, and I do. This is a lovely formula and applies easily. The only downside is that it dries almost too fast which means that application is a little uneven. Also applying thicker coats does result in some wee bubbles but a top coat takes care of that. This shows three coats but two would have been sufficient. 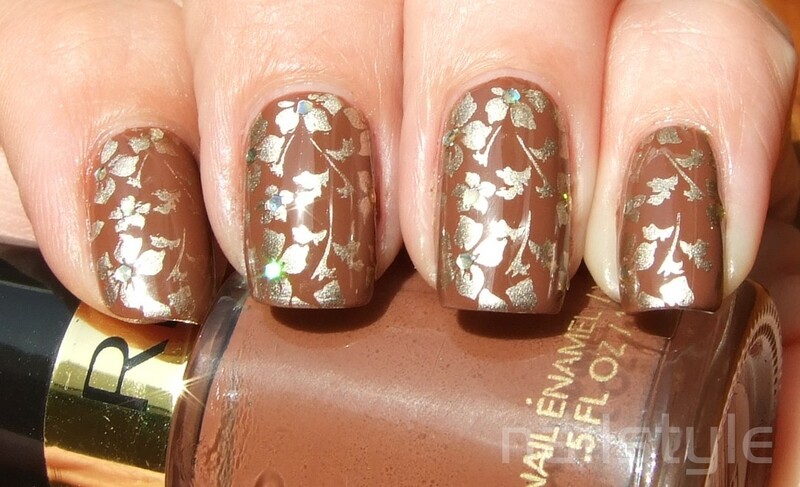 Plus hex shaped glitter from Nubar Golden Glow for the centres of each flower. I love that stamp. Great colors! this is such a beautiful colour! and the stamping makes it even more amazing! OMG! This is certainly a Fingers mani!! I would so wear this!!! You know I just LOVE brown!! And your stamping is perfect!!! NICE! I love this! I've never seen that design look so vibrant before. Great manicure! 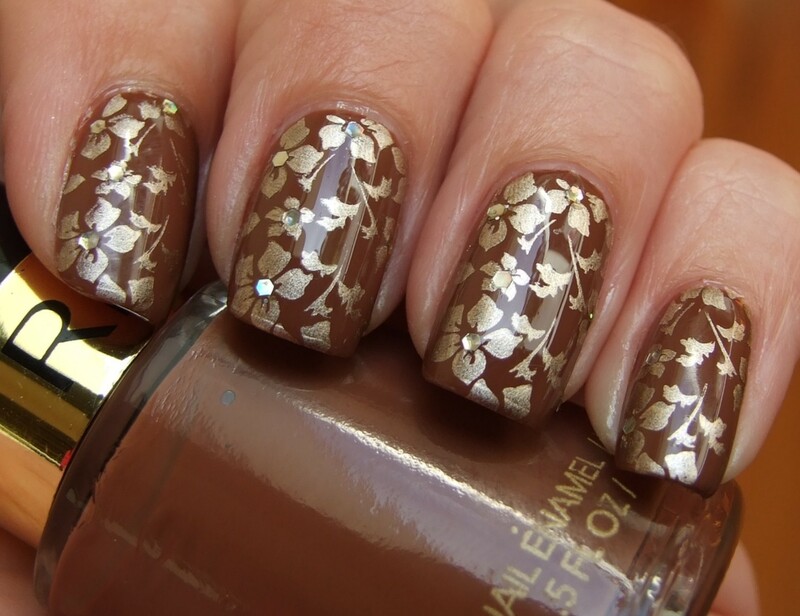 Brown & gold looks so lovely! Great choice of stamp! Seeing the beauty of the GC 2030 in blogs like yours that I decided to pay a small fortune for it XD. It really is worth a lot! @Jane - I wanted 2030 for soooo long and managed to get some from Ebay for a reasonable price - it's just the postage to NZ that cripples me! Wow! those are some awesome photos!